UltraVue is Phifers next generation of excellent visibility insect screen for Window Screens. 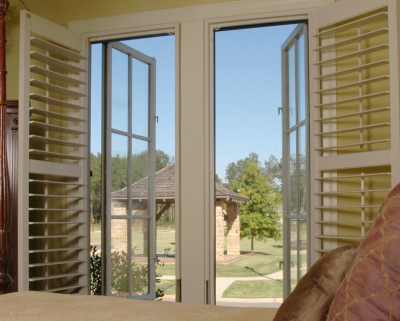 UltraVue is easily installed in window screens and doors. UltraVue comes in 24", 30", 36", 48", 60", 72", 84" and 96" widths . Roll lengths come standard in 25', 50', 100' and 300' Rolls. Insect Control: Light and air pass through but not the bugs. UltraVue is a Superior choice for keeping bugs out while allowing fresh air to pass through. We carry only Phifer Insect Screen and Sun Screen Products. Phifer is the world leader in fiberglass, Aluminum and extruded vinyl coated polyester screening. Phifer UltraVue: An Innovative Insect Screen with A great View. For Windows and Doors. the mesh is woven from, refined yarns that improve the screens openness, making visibility sharper and more brilliant. Better InsectProtection, Better Air Flow and Clearer View compared to standard fiberglass insect screen. Available Widths: 24", 30", 36", 48", 60", 72", 84" and 96 "
We sell only 1st quality Phifer material. However, Phifers grading criteria allows for various defects within a roll. Rolls may be up to 2 pieces per roll. Not all rolls are continuous. Please call with specific questions regarding the manufactures grading criteria. We do NOT warranty product beyond the manufactures specified defect allowance.